The Golden Visa Programme in Portugal has proven to be the most popular scheme in Europe with Investors attracted to its ease and flexibility to obtain along with all the benefits it provides. The visa programme was launched in 2012 and has been promoted by the government as an investment in real estate, there are several ways to obtain the visa with the most popular being an investment of 500,000€ in to a freehold property in Portugal, there is a reduced version of this at 350,000€ however there are certain criteria that must be met. The visa allows you and your dependent family (Children & Parents) to gain a residency permit in Portugal for 12 months and is then renewed on a 2 yearly cycle, to qualify for renewal you simply have to spend a minimum of 7 days in Portugal per year. This visa will allow you to travel freely across Europe within the Schengen Zone. The most attractive part of the visa is that after 5 years of title you can then apply for permanent residency within Portugal and after 6 years you can apply for citizenship, the basic requirements to qualify is the initial investment, a clean criminal record and the ability to spend a minimum of 7 days in Portugal each year, without the need to reside in Portugal this visa has become the most attractive and popular option across Europe. Once residency has been granted you will have the right to live, work and study anywhere within the European Union, once citizenship has been granted you will become a European citizen and will have the same rights of anyone in Portugal. The most popular area for investment in Portugal in the Historical Centre of Lisbon, areas such as Baixa, Chiado, Graça, Principe Real, Cais Do Sodré and Santa Catarina are seeing continued growth and reinvestment by the government. The property market in Lisbon at the moment is very buoyant and in the historic centre there has been a huge amount of re-development over the last 4-5 years that will continue for the foreseeable future, one of the big attractions for investors is the returns from rental as tourism in Lisbon has grown from 6 Million per year to over 11 Million since 2006, with figures in 2017 up around 15%. The Airport is now at capacity with over 24 million passing through it in 2016 and the government is trying to quickly push through a second airport to be finished by the end of 2019 to help lighten the load and allow more flights and routes into one of the fastest growing tourist destinations in Europe. 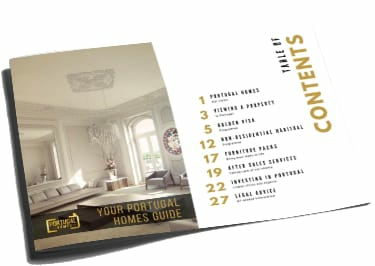 For our full in-depth guide of Portugal, The Golden Visa Programme and investing please download our Guide to Portugal for FREE.